"Highly recommended. In 1896, Romanian-born Cambridge University professor Solomon Schechter came upon an extraordinary discovery: a vast storage room (geniza) containing sacred ancient religious texts, manuscripts, and letters within a rundown Cairo synagogue. Filmmaker Michelle Paymar’s documentary details how Schechter located this amazing treasure trove, which included many original documents handwritten by the influential physician and philosopher Moses Maimonides, as well as more commonplace correspondence and lists that detailed the ebb and flow of life in medieval Egypt during a period when Jewish, Muslim, and Christian communities existed in peaceful cooperation. 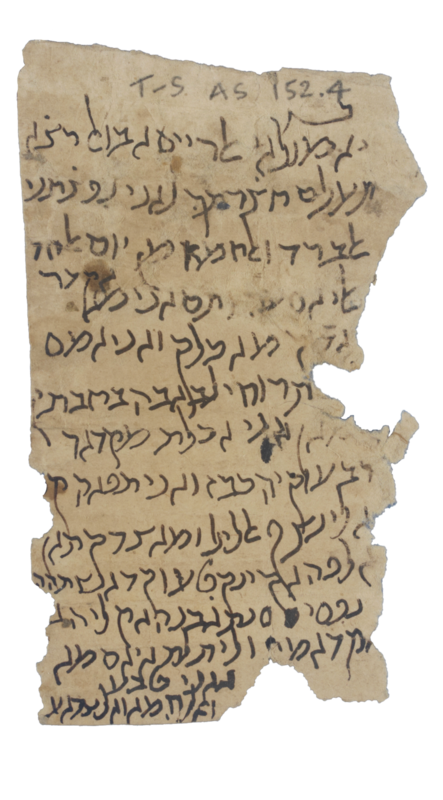 While many of the documents were intact, countless others existed in fragmentary states and required endless hours to piece together and decipher (written in Arabic, Greek, and other languages using Hebrew letters). The film also chronicles ongoing efforts to digitize the documents found in Cairo and make them available to scholars studying the history of Egypt’s Jewish community. While the subject matter is scholarly, Paymar presents this material in a user-friendly manner that places old Cairo, Schechter's 19th -century academic world, and contemporary historical research into fascinating context." In Jewish tradition, religious texts are not thrown away, but are buried in a special ceremony, similar to a funeral. A Geniza is where these manuscripts are stored until their disposal. 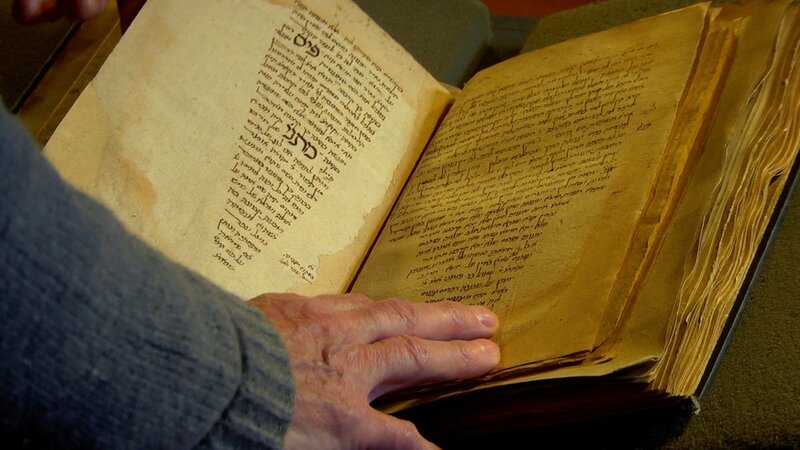 This documentary tells the story of one of the world’s most famous Genizas, the Cairo Geniza, which held not only religious manuscripts, but other texts including letters, tax documents, medical prescriptions, marriage contracts, and other everyday documents. This is the largest collection of social history documents on Medieval Jewish culture. From Cairo to the Cloud chronicles the story of this massive collection, from when it was first discovered and dispersed among seventy different institutions to today, where it has been digitized and is now freely accessible online. The documentary provides an interesting life to this story through interviews with experts, cartoon depictions of historical scenes, and visuals of the texts themselves. It is also amazing to see that these texts are not only in Hebrew, but in Arabic and Yiddish as well. They depict a time of peaceful coexistence between the people of North Africa, something that would be nearly inconceivable today. I highly recommend this film for any academic library that supports a curriculum in history or medieval history. “Tales of adventure and discovery by pioneering women and radical rabbis; Victorian photos and early movie scenes, together with modern animations and visual effects; rare, revealing and crumbling texts from the tenth to the twelfth centuries. This remarkable new film combines such spicy content with the views of learned historians, expert curators, innovative programmers and contemporary novelists from across the globe. “The first fully comprehensive film to examine the whole history of one of the world’s most remarkable, but least known, collections…Paymar has brought together all the leading scholars and figures in the field to examine the history of its discovery and expose the importance of its manuscripts. Paymar brings all this to life with some crisp editing and a well-paced narrative that takes us from Victorian Cambridge right into the 21st century, where the power of the internet brings together the fragments from the Cairo Genizah which were scattered across the globe. It is meticulously researched, with a cast of engaging experts who enlighten and entertain with this extraordinary story. Anyone with a passing interest in history will find all this enthralling. As one expert in the film points out, “It is like looking back at that time through the memory of God”. If that is not enough to pique an interest, I don’t know what is.